Please visit http://reviews.mobisys2012.rice.edu/, the public review site for the accepted papers. On this site, you will find the following information: (1) paper information (usually with a link to the authors' camera ready); (2) a public review for each paper written by a PC member that summarizes why the PC decided to include the paper in the conference program; (3) a rebuttal from the authors to the public review if they chose to do so. You can add your opinions to the website too. support to the Information Standards Board and the National Information Governance Board. Paul began his career as an academic lecturing in Computer Science before joining a software company. The majority of his career prior to joining the NHS was in IT and Management consultancy. 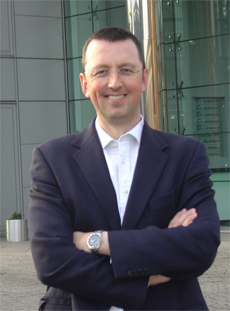 Paul holds a BSc(Hons) and PhD in Computer Science, is a Fellow of the British Computer Society and is a Chartered IT Professional. Your Mobile, Friend or Foe ?